A large part of our kindergarten learning is about who we are individually and who we are in the world around us. Celebrating traditional holidays is one of the ways we learn about culture and the world around us. Celebrations draw people together, and create powerful memories. Our class celebrations often include new foods, music, dance, poetry and art activities to build student understanding, and to foster collaboration. Check the room parent page for specific celebrations this year. 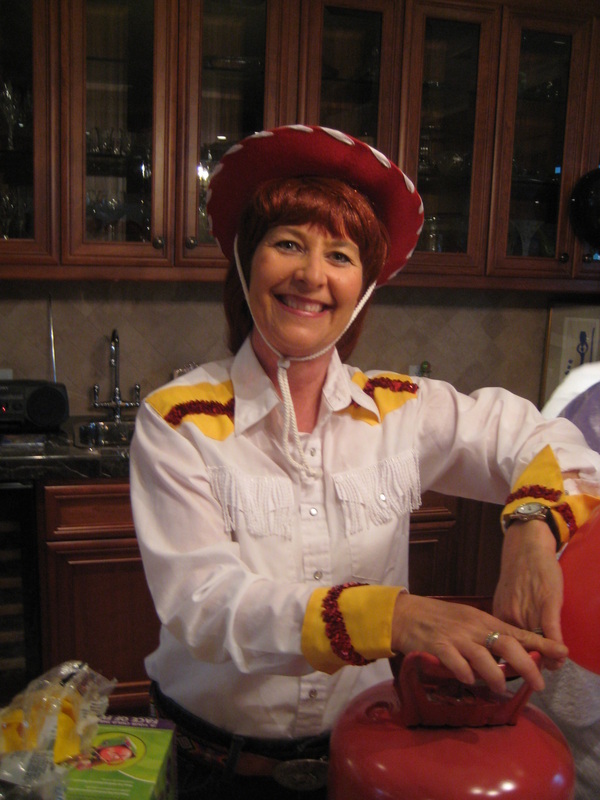 Mrs. Floyd as Jessie from Toy Story. Do you know how many bones are in your body? 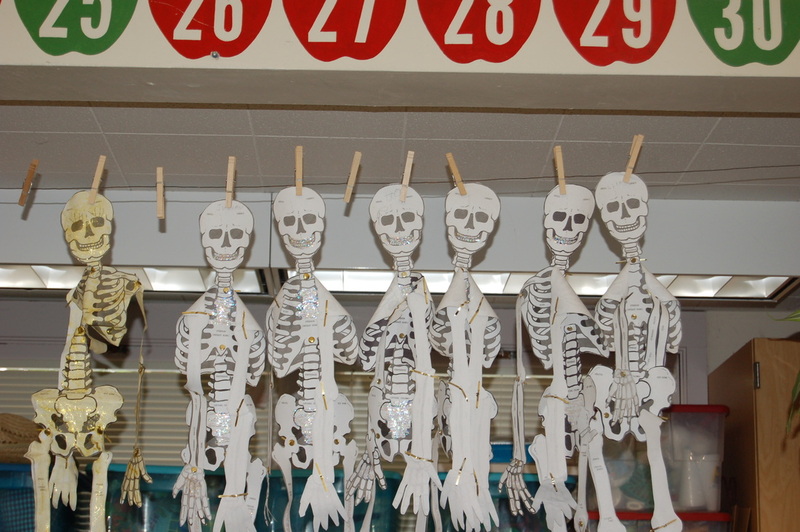 Counting our bones is a great way to integrate math and science. Kindergarteners are curious about everything, especially how their bodies work. October provides the perfect opportunity for us to learn about the human body as we study skeletons. And the best part? They learn that skeletons are nothing to be afraid of! Like many parents, you may be wondering what project based learning, or PBL really means. 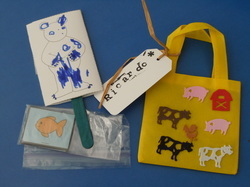 In its simplest form, it is teaching children how to research, and find answers to the questions. How do we help our bodies build strong bones? Do animals need the same things to grow strong bones as people do? After asking the question, children brainstorm what they might need to know to answer the question. For example, are all bones the same? How can we measure their strength? What are bones made of? How do foods, exercise, and vitamins affect our bones? Are all the bones in the body the same? Next, the teacher and students begin to "research" what they need to know. By using guest speakers, video resources, online resources, books, and field trips, students gather information and begin the critical thinking process. The project ends when students are able to share what they have learned with others. Sharing can take the form of a slide show, an art project, a debate, or an oral presentation. The beauty of PBL is the emergent nature of the content. Student engagement is elevated due to the fact that children can follow their natural curiosities.